"Bulletin / Department of Water Resources -- no. 130-69, Bulletin (California. Dept. of Water Resources) -- 130-69." serie. Publisher: Bulletin / Department of Water Resources -- no. 130-69, Bulletin (California. Dept. 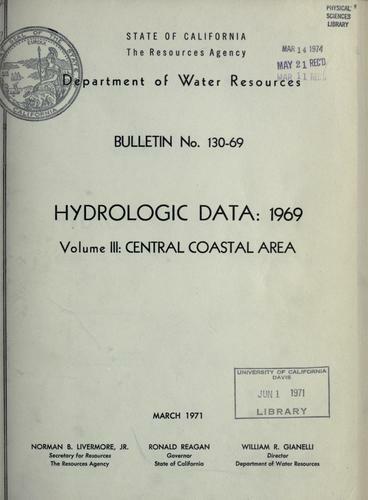 of Water Resources) -- 130-69..
We found some servers for you, where you can download the e-book "Hydrologic data, 1969." by California. Dept. Of Water Resources. PDF for free. The Fresh Book team wishes you a fascinating reading!